Freshman Avery Flatford is one of the leading pitchers in Tennessee in strikeouts and ERA and she's just a freshman. 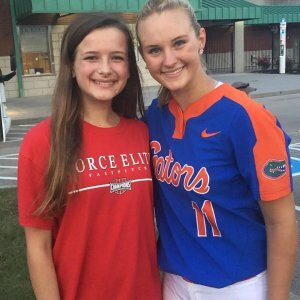 At the beginning of 2019, we presented the inspiring story of Avery Flatford, the Class of 2022 pitcher who is one of the top freshman pitchers in the nation who is also also battling Cystic Fibrosis (see the article below). 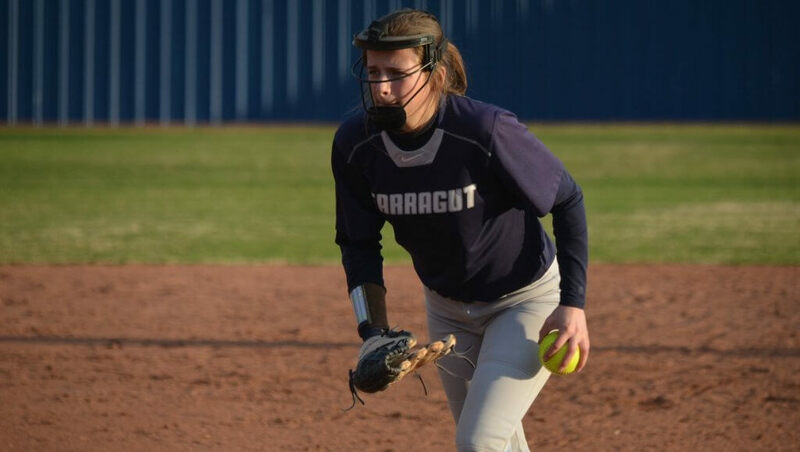 We announced on Friday the schedule of the 2022 Extra Elite 100 (and beyond) lists and Avery will certainly be in the mix again and as a freshman at Farragut (Tennessee) High, she's showing why. As of Friday, she was 7-0 with an ERA of 0.69 and 102 K's in 40 2/3rd innings. Included in her wins was a 11-strikeout no-hitter to start the season. The 5-foot-6 lefty who effectively mixes speeds and spins is leading her district in K's and Top 10 in the state. Her ERA also puts her in the Top 5 in that category. Avery Flatford pitching for the Frost Falcolns at the Eastern Elite Showcase last year. 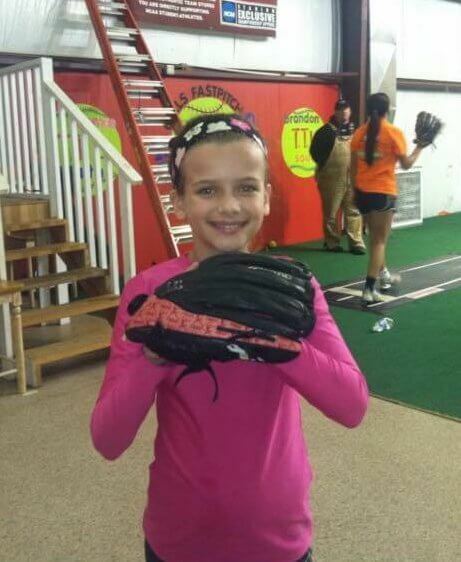 Next week, Extra Inning Softball will launch our coverage of the 2021 Extra Elite 100, but before we do, we’re proud to present the inspirational story of one of the Top 200 players we ranked in the 2022 Class. 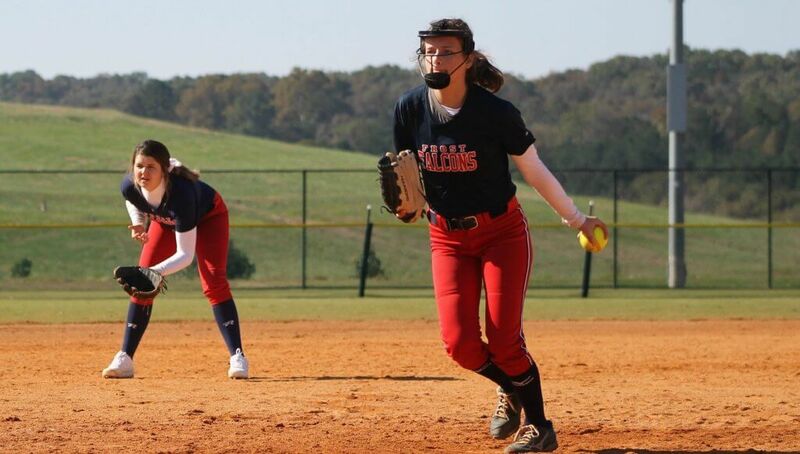 Avery Flatford is a talented left-handed pitcher who pitched for the Frost Falcons 03 this year and next summer will take the circle for the Firecrackers 16U Pantages/Romero team at top events such as Colorado Sparkler and PGF Nationals. She is also one of 30,000 people in the United States and one of 70,000 worldwide who battles Cystic Fibrosis, a disease that causes lung infections and limits the affected with limited breathing abilities over time. Avery with her distant cousin... a pretty good pitcher named Kelly Barnhill! In our initial 2022 rankings, we had Avery rated at #189 and we believe you’ll agree with us that not only is she a promising prospect, she’s also someone we can all root for. If anything, she’s shown the toughness and tenacity to go the extra mile to be a success, and that work ethic has helped her receive interest from SEC, Big Ten Atlantic 10 and other DI, DII (she’s taken an unofficial to Carson-Newman in Tennessee) and DIII programs. Receiving the honor to be in the Top 200 for the Class of 2022 by Extra Inning Softball was a great honor. And it’s an honor that was important to me because it was due to my ability and accomplishments on the softball field, before the world knew I had Cystic Fibrosis. It has motivated me to maintain that honor as one of the nation’s best and has pushed me keep achieving the next goal. “Audacious Avery… that’s how my mom describes me. Each new day is like the last: over 40 pills, multiple breathing treatments, and physiotherapy just to get to the next day. A slight cough inside the pitching circle or batter’s box goes unnoticed by everyone except my mom and dad and that cough is a reminder that I’m one of 30,000 in the United States living with Cystic Fibrosis. If you see me, you’ll say I look normal at 5-foot-6, 130 pounds, but inside I feel anything but normal. But it’s my normal. At 15 years of age I’ve had over 20 procedures to help me stay ahead of my disease, a disease that has a life expectancy under 40 years of age. But advance breakthroughs have me given promise that the life expectancy age will continue to rise. Currently there is no cure for Cystic Fibrosis. But that hasn’t stopped me from being the best that I can be in everything I do. My goal has been the same since I was nine-years-old: to be the first pitcher in college to have Cystic Fibrosis. This past year I took a huge step in achieving my dreams. The 2022 standout pitching in the PGF Regional Championship. 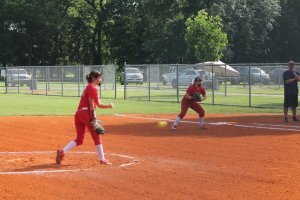 It was at PGF Regional Championship in Hendersonville, Tennessee when I knew I could pitch at the next level. My Frost Falcons 03 team was playing a team from Florida which was the USA Elite #1 team in the nation at the time. Over the course of seven innings l, I threw one of my best games and got stronger as the game went on. My Frost Falcons 03 team went on to win the game 1-0 as I threw a one-hit shutout and my team played awesome defense. I finished the summer season 8-1 with a 1.84 ERA which increased my confidence heading into the Fall, my first season of 16U. I was asked to play with Frost Falcons 2020/21 as they were down a pitcher. I played two fall tournaments with them--the Eastern Elite and Veterans Showcase--and one with my home team, Frost Falcons 03, at Scenic City. Over the three tournaments, I pitched 28 innings with 52 strikeouts and threw a no-hitter at the Veterans Showcase. Next summer I’ll play with my Frost Falcons 03 team as well as travel to the West to play with Firecrackers Pantages/Romero from Fontana, California. This is a great opportunity and a chance to see and play with awesome players from the West Coast in two of the biggest tournaments of the year. I’m looking forward to the challenge and seeing how I can compete against the best in the nation. Playing softball is a way for me to be normal, build bonds with friends, meet new ones and also provide a chance for me to compete. Avery at nine-years old. She was diagnosed with Cystic Fibrosis when she was only 18 months old. I was diagnosed with Cystic Fibrosis at 18 months of age, three weeks after my brother, Rhett, was born. My parents decided to let me live my life like any other kid, meaning it was OK for me to fall down, fail and play sports. As my dad puts it, I was still here with my condition, now we just had a name for it. I don’t know what it is like to not do daily treatments, take multiple pills or go to the doctor regularly… things most kids don’t have to deal with. Pitching obstacles for me include sometimes having a shortness of breath or being tired. In between innings you’ll find me refueling my body through hydrating (water, Gatorade, even pickle juice,) or eating scoops of peanut butter for calories. My daily intake needs to be between 3500-5000 calories a day to get my body ready days in advance for the grind of the weekend. Fighting the disease has made me mentally tough on the field and life and taught me how to face adversity and overcome it. People always comment that I look calm pitching; inside the circle is where I feel comfortable and where I can escape, but I also face something bigger than the next pitch or even the outcome of the game. I compete to be the best player I can be, but I also compete to stay ahead of my disease. My daily routines have helped me to be recognized on the field through hard work, but that work has also helped to prepare me for life after softball. While others play multiple sports, I spend the offseason getting my body ready for the next season. Sometimes it starts with a hospital stay to kickstart my offseason with a brochcoscopy and two weeks of IV antibiotics. It also includes perfecting my craft with my pitching coach, Jamie Carr ,who has been with me since I was nine. I’m constantly putting hours in at the gym to build my lungs up and my body with the next season on my mind which includes getting my left arm stronger than the previous season with my velocity workouts. I’m not the biggest at 5-foot-6 and 132 pounds, but I can compete with the best of them. While some may view me as an underdog, I don’t. I expect to win each time I enter the circle. I love going to camps or showcases, and getting the attention of college coaches gravitating to the older or bigger player or the player with a national name on their jersey. What helps me is that my teammates don’t look at me as weak or sick but as their pitcher. My biggest supporters and best friends have helped me through my rough days. 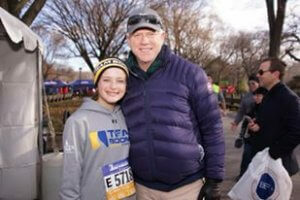 Avery with NFL QB great Boomer Esiason. The pitcher was the 2017 award winner of the award named after the current broadcaster. The softball community nationally endorsed me with votes in 2017 for the Boomer Esiason Athlete of the Year and it was important to help let everyone know my story. I was that lefty pitcher from Knoxville who has Cystic Fibrosis and when I took the honor of being Athlete of the Year, I took on being an advocate for my disease at an early age. I feel humbled to be able to use my abilities as a pitcher to inspire others to be the best at the sport they want to play, maybe even inspire another little girl with CF to pick up a ball and become a pitcher because she saw someone like her. I wear #29 as my jersey number as a reminder of my favorite bible verse: Jeremiah 29:11 (“For I know the thoughts that I think toward you, says the Lord, thoughts of peace and not of evil, to give you a future and a hope.”) and for my mentor, Inky Johnson, who has been a family friend and someone who inspires me to embrace the hand I’ve been dealt. I choose to use my platform as a pitcher to bring awareness for our disease and to inspire others to be their best regardless of the obstacles. Right now, after my first semester at Farragut High School in Knoxville, Tennesse, I have a 4.0 GPA and was recently awarded November Female Student of the month. I’m getting ready to join senior Laykn Moore (Chattanooga State signee) and sophomore Cameron Young (Tennessee-Chattanooga) to help us make a run at a state championship. I’m excited also to just have a chance to play with my class as we can be special over the next few years. My passion outside of softball is my artwork; I’m just as passionate about my art as I am about my softball. I feel my art is my outlet to get away from my health and express myself on paper. Art has helped me to give back to my community and help my local Children’s Hospital raise funds through gingerbread house sales. My mom’s high school class for the last 10 years has taken part in a local weekly philanthropy event called Fantasy of Trees which is a fundraiser for Children’s Hospital, the same hospital that has taken care of me the last 14 years. Last year my own house won Best Structure and Best Individual for the event. To me, it’s about giving back and finding balance. Finally, I wouldn’t be where I am today without my parents. My mom reminds me to be a kid, stays with me in the hospital, and makes sure I never go without my monthly refill orders. My dad takes me where I need to be: lessons, practice, games. He talks to me about faith, life, and random things. I’m also grateful for brother, who sacrifices some of his time so I can achieve my dreams while keeping my health up. I’ve had great support from my family, teammates, my team of doctors and most importantly God. I’m trusting in HIS plan.